If you’re looking to enhance the appearance of your garden, a wooden veranda could be a great way of going about it. Even though these wooden structures are relatively simple and subtle in their appearance, they can add an excellent finishing touch to your garden, completing its look and providing extra living space for you. And the fact that they are directly attached to a house means that they can be added even to gardens that are relatively small. As you can see, wooden verandas certainly have a lot to offer, and that’s why we have created a small guide for those who are considering constructing one for themselves. So, let’s take a look at what they are, how they compare to other garden buildings and what to keep in mind when choosing one. 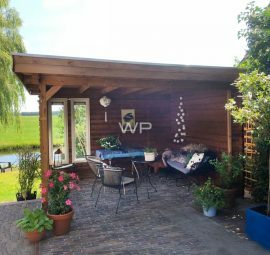 Before we delve into the process of choosing a wooden veranda, it’s important to understand what exactly they are and how they compare to other garden buildings. First of all, it must be mentioned that, unlike wooden sheds, wooden verandas are almost never used for storage, mainly being constructed as an extension of living space. 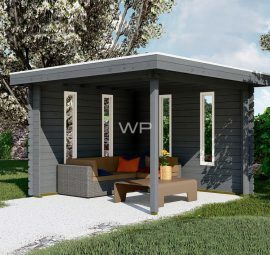 Meanwhile, the main difference between a wooden veranda and a summerhouse or a log cabin is that they are smaller in size, and, in most cases, are open-air buildings, without windows or doors. That means they are most closely related to pavilions and gazebos, however, while the other two are free-standing structures, verandas are directly attached to your house. Therefore, it’s very important to align the look of your wooden veranda to the look of your house. Even if both of them look great on their own, it doesn’t necessarily mean that they will look great when combined together. For example, it should be obvious that a modern veranda design might not be a great fit for a house that’s built in a classic style and vice versa. It’s also important to take into consideration the measurements of your house, to make sure that your veranda doesn’t exceed the height or width of your house. And, ideally, its appearance should also be a good fit to the overall look of your garden. 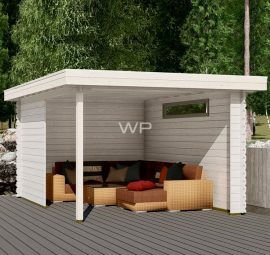 Standard wooden veranda kit or a custom design? 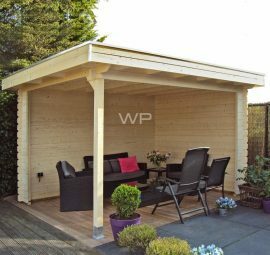 When you start looking for a wooden veranda, you’ll find that there’s a large variety of pre-fabricated designs available – from very simplistic kits, intended for DIY installation, to sophisticated models that will enhance even the most stylish garden. Therefore, it shouldn’t be very hard to find an option that you like, however, in some cases, it might turn out that none of the available kits is a good fit for your house. If you have found yourself in such a situation, it doesn’t mean that you should start considering a different type of garden building, because you can always opt for a custom design. In fact, it has never been easier to create them than it is at the moment because Woodpro now offers a 3D-configurator on its website. This type of software allows everyone to modify any of the existing wooden veranda designs for their needs and preferences or to create a bespoke one from scratch and see how their changes would look in real life straight away. That means there’s no need for any complicated technical drawings anymore, and anyone can easily create their own bespoke structures. 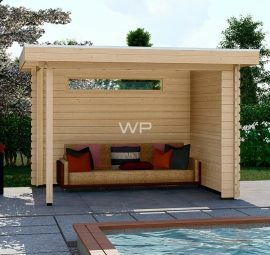 Besides, as the bespoke wooden veranda designs still utilise the same construction systems that are used in standard kits, Woodpro doesn’t charge an extra fee for this option. 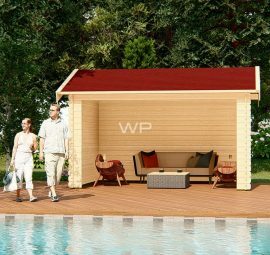 Of course, neither of these options is better or worse than the other – if you have found a standard wooden veranda model that you like, don’t hesitate to add it to your house, but don’t be afraid to use the custom design option if you want to customise it or build a new one from scratch. Another thing that you’ll have to decide on when making plans for your wooden veranda is if you’d like it to have any walls. Of course, open-air wooden verandas are the most popular option, but if you’d like yours to be enclosed, it also isn’t difficult to find designs that are enclosed, or alternatively, you can add glass walls to most of the existing plans when customising them. Therefore, the decision on this should be made according to the climate in your location and the way you intend to use your wooden veranda. For example, if you live in a location with a moderate climate and you only plan to use it during the warm months of the year anyway, there’s probably no need for an enclosed design. Meanwhile, if you want to use your wooden veranda all-year-round, the glass walls will help you keep the cold away – especially if you also install heaters inside of it. Once you have finalised the construction plans for your wooden veranda, you should start thinking about making it cosy and comfortable. The most popular option is to turn it into a lounge area, by adding some furniture for sitting down – either some chairs or, if the space permits, even a sofa. If your wooden veranda is big enough, you can also add a table, which will allow to use it for dining or fun activities with your family and friends. However, there are more ways how you can use your wooden veranda. For example, if it’s an open-air structure, you can install a BBQ grill or even a pizza oven for cooking. Meanwhile, if you have an enclosed wooden veranda, you can turn it into a cosy and bright guest bedroom during the summer. Are you interested in constructing a wooden veranda in your garden? 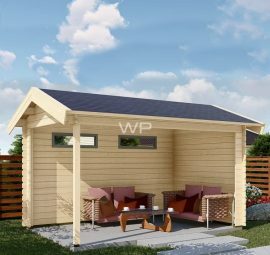 Take a look at the garden building range available or design your own with our 3D-configurator.